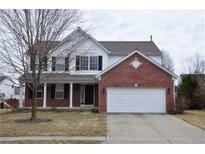 Below you can view all the homes for sale in the Stafford Point Royal Run subdivision located in Zionsville Indiana. 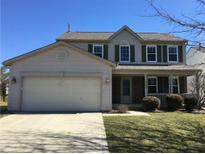 Listings in Stafford Point Royal Run are updated daily from data we receive from the Indianapolis multiple listing service. To learn more about any of these homes or to receive custom notifications when a new property is listed for sale in Stafford Point Royal Run, give us a call at 317-434-3975. This house was a great home for us as our family grew over the past almost 15 years and we are sure it will do the same for your family. MLS#21630203. Mentor Listing Realty Inc.
Inviting 2 story foyer, Gleaming hardwood floors throughout living room, Dining Room & Kitchen, Spacious family room w/big windows & tons of natural light, Updated kitchen with stainless steel appliances & Exhaust range Hood, 4 bedrooms upstairs with garden tub, separate shower in master bath, Finished basemen, Rear yard deck, Roof and most windows 2016, Washer and Dryer 2018, Close to playground and pool, Kids friendly community, Award-winning schools and Great location. MAKE IT YOUR NEW HOME!! ! MLS#21626892. Secure Home Estate, LLC.